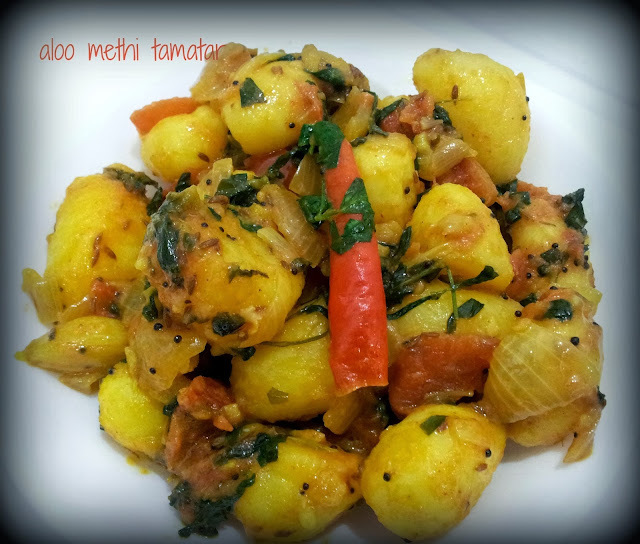 Began initially with the recipe of aloo methi in mind, but then had tomatoes to be finished from the fridge so have added them besides goda masala. 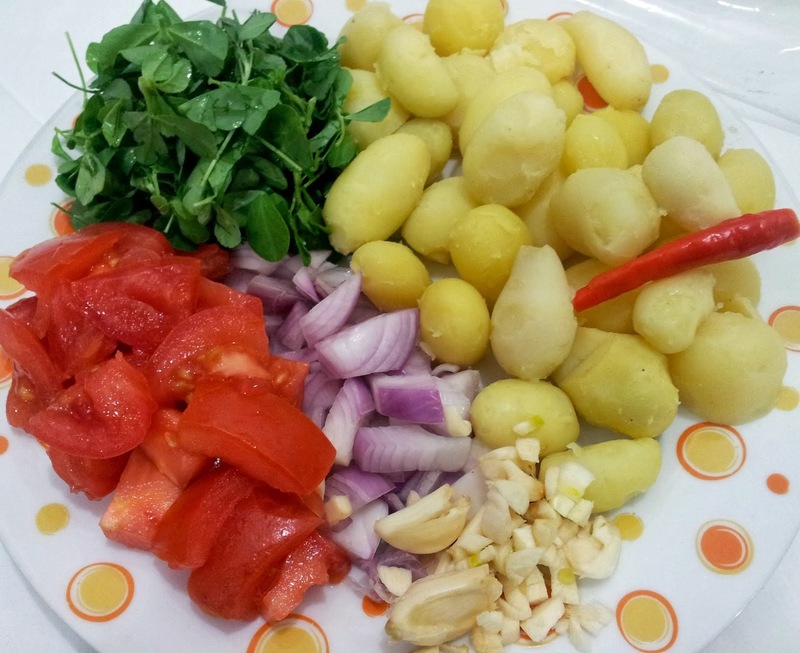 You can omit them [tomatoes and goda masala] and proceed with other steps as mentioned in the recipe. Methi leaves 3/4cup washed and cleaned. Switch off the flame and serve hot with rotis or rice. 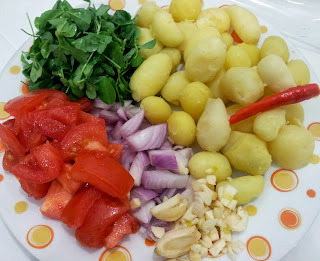 Note: If you don't have baby potatoes, substitute it with regular potatoes, boil them and dice them into cubes.